Ferry Command owes its genesis to the exigencies of war as they prevailed in Britain in early 1940. Recognizing that aircraft production capacity in the UK could not meet the war-time expansion of Britain’s armed forces, orders were placed with US manufacturers. Initial deliveries of these aircraft were by sea – either as deck cargo or as disassembled aircraft in crates. Besides the delays caused by moving the planes to dockside, loading onto ships, awaiting convoy, unloading and reassembly in the UK, many of the planes never reached their destination as they fell victim to submarine warfare. 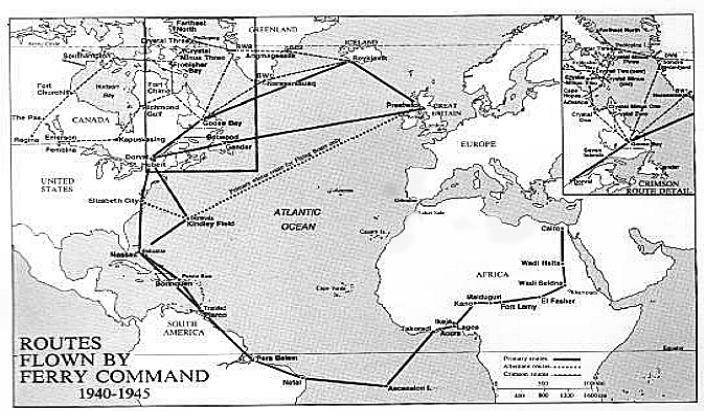 To circumvent these delays, some UK planners broached the idea of flying the aircraft to the UK, direct from bases on the east coast of North America. The Royal Air Force and its government department, the Air Ministry, rejected the concept. In the 20 years between Alcock and Brown’s pioneering flight of June 1919 and the commencement of World War II there had been fewer than 100 successful crossings of the North Atlantic along with 50 failed attempts, resulting in the loss of 16 aircraft and 40 of their crew. All crossings had been undertaken in the more benign summer weather conditions on the North Atlantic. Little wonder they had no enthusiasm for entrusting the delivery of a vital war weapon to the vagaries of North Atlantic – especially given its winter weather conditions. Churchill’s war-time Minister of Aircraft Production, Lord Beaverbrook, sided with the planners and, as was his style, stepped outside government and military channels to test the idea. Through business contacts in Canada he caused an umbrella organization to be formed within the folds of Canadian Pacific Railway. 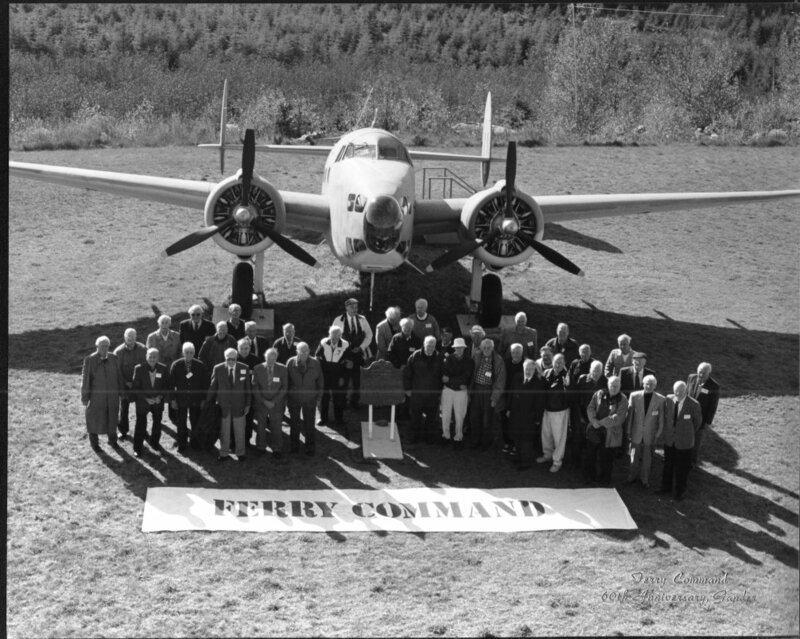 That organization put in place the necessary operating management who in turn sought out experienced civilian fliers and radio operators sufficient to man 7 aircraft for a test flight. The chosen aircraft was the Lockheed Hudson, Mk.III. Flown earlier from Dorval (Montreal) to Gander for re-fuelling and maintenance checks. Led by Australian pilot D.C.T Bennett, the 7 aircraft departed on the evening of November 10, 1940. Due to adverse weather conditions near the end of the journey, 3 of the aircraft became lost. The first four aircraft landed at Aldergrove, Ireland 11 hours after departure. UK authorities were reportedly prepared to accept ferry losses as high as 50% – so desperate was the need for aircraft. Imagine their pleasant surprise when, an hour later, the final three aircraft arrived safely. The plan was a success, and by the end of the war, 9,027 aircraft were delivered across the Atlantic, helping to turn the tide of the war.